Yes, the EU plans to punish EU consumers as a result of Trump tariffs. 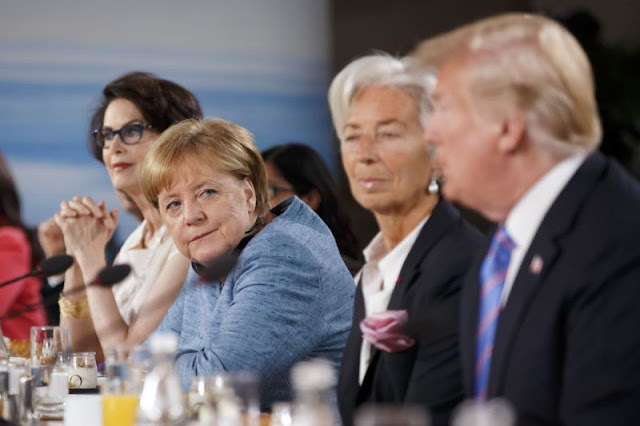 German Chancellor Angela Merkel said in a new interview Sunday that the EU would implement counter-measures in response to President Trump's decision to levy tariffs on the 28-member bloc, reports The Hill. “So we won’t let ourselves be ripped off again and again. Instead, we act then too,” Merkel told German broadcaster ARD, according to Reuters. Someone help me out. Who said tariffs are what what you do to yourself what your enemy does to you in a time of war? "What caught my eye was a statement by Senator Jack Watson. He was Majority Leader in the Senate and was commenting on the growing debate in Congress over the Smoot-Hawley Tariff Act. What he said was that it looked like it would be impossible to limit the act to just agricultural goods. That may not sound like much, but let me assure you Watson's statement was the beginning of the end of the Bull Market in the Twenties. "...I was out of all stocks I felt might be affected by the tariff. I missed some of them, because there was no way to guess just how broad that bill would become..."